At the beginning of December, the European Commission launched its inception impact assessment of the 2012 CSSC Opinion recommending the labelling on cosmetic packaging of more than 80 fragrance components with allergenic potential (instead of 26 currently). Three options are under consideration, including electronic labelling. BEUC (The European Consumer Organisation) has published its comments, and is strongly opposed to this solution. 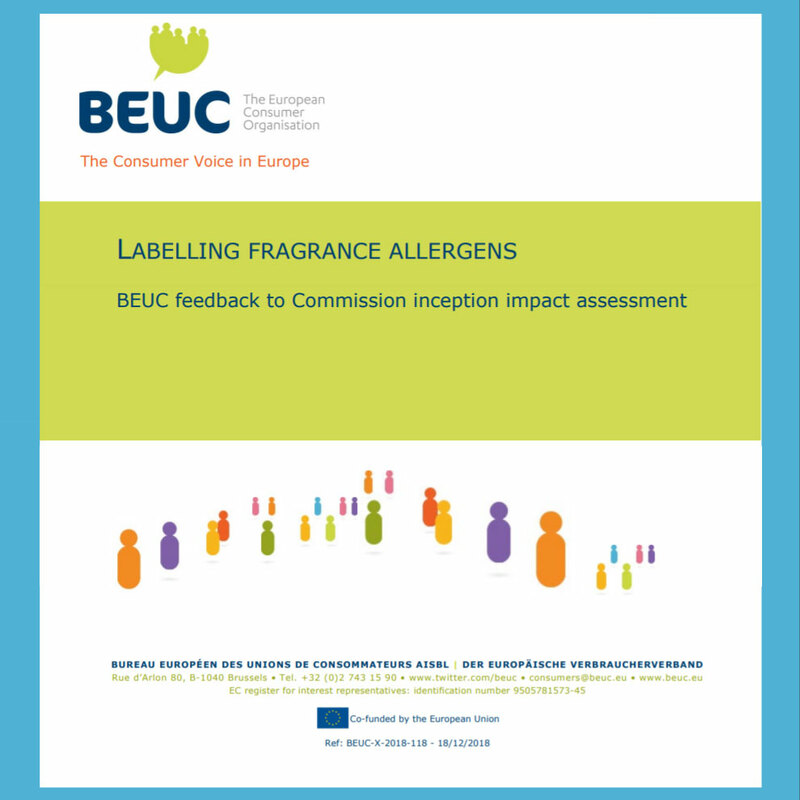 BEUC, The European Consumer Organisation welcomes the European Commission’s intention to take forward the implementation of the 2012 Opinion of the Scientific Committee on Consumer Safety on fragrance allergens in cosmetic products (SCCS/1459/11). Perfume allergies are a significant, growing health concern which affects millions of consumers across the EU; as such, further delay in improving the protection of consumers against fragrance ingredients of concern is unacceptable. Clear and readily available information on the presence of fragrance allergens is a crucial tool to allow allergic consumers to adopt a preventive approach. As an initial measure, BEUC therefore insists that the additional 62 fragrance allergens identified in the 2012 SCCS opinion must be labelled according to the present rules of the Cosmetics Regulation, that is, either declared on product labels or through leaflets, tags, etc. (OPTION 2 - ‘on-pack’ labelling).